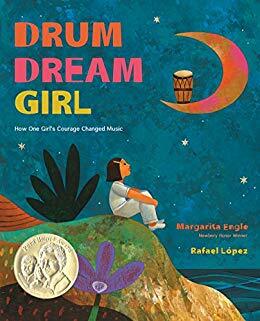 Drum Dream Girl: How One Girl's Courage Changed Music is yet another free verse story of an amazing, inspirational life from Engle, the Young People's Poet Laureate for 2017 - 2019. Engle's poetic narrative of the story of a girl who lived on an island of music and longed to drum is lyrically syncopated and dreamy. 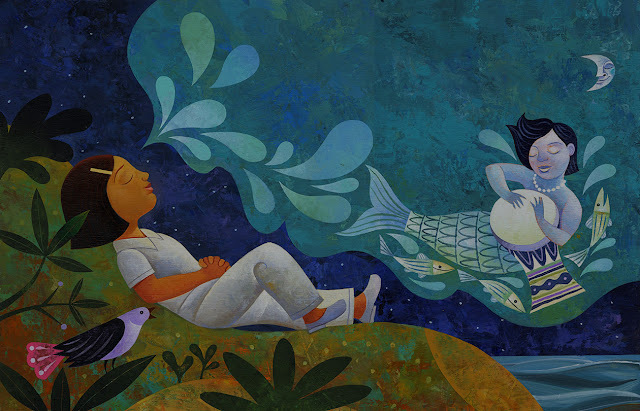 The story of Millo Castro Zaldarriaga, "dreaming / quiet / secret / drumbeat / dreams," is almost fairy tale like in the telling, matched by López's vibrant, magical illustrations. On an island of music where everyone believes only boys should play drums, a girl finds rhythm everywhere, from the "outdoor cafés that looked like gardens" to the carnivals in the streets and the beat of her own heart. 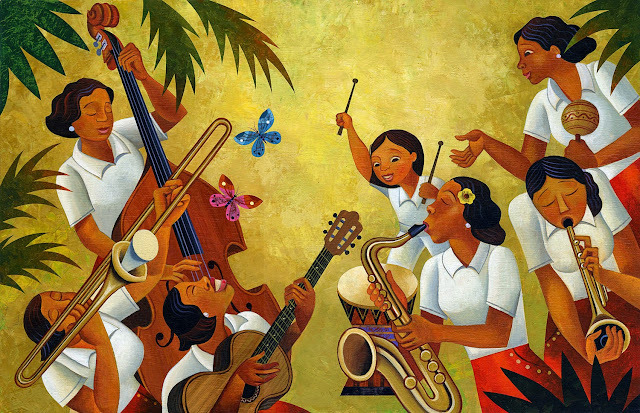 When her older sisters invite her to join their new all-girl dance band, her father refuses. 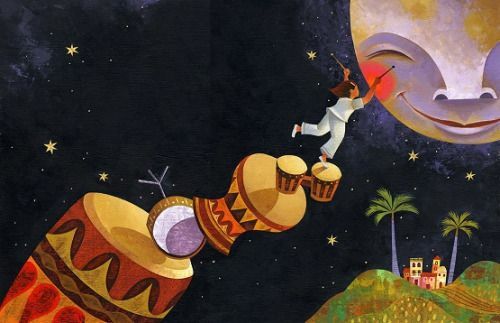 He relents, however, and offers to find her a teacher who will, "decide if her drums deserved to be heard." Amazed by her talent and knowledge, the girl's teacher "taught her more / and more / and more / and she practiced / and she practiced / and she practiced" until the day she got to play in an outdoor cafés that looked like garden. 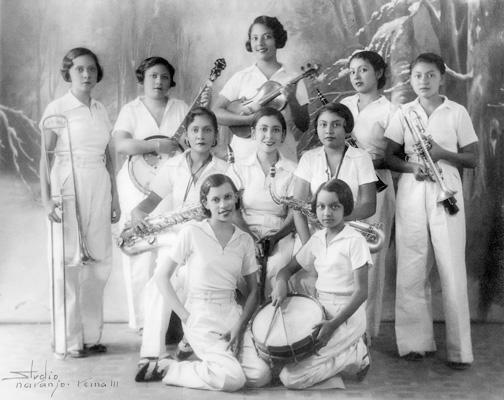 Engle's historical note tells readers that Millo Castro Zaldarriaga "broke Cuba's traditional taboo against female drummers in 1932, at the age of ten, when she performed with her older sisters as Anacaona, Cuba's first "all-girl dance band." In 1937, the band traveled to New York City where, among other performances, they played for FDR's birthday and were cheered, enthusiastically, by First Lady Eleanor Roosevelt.